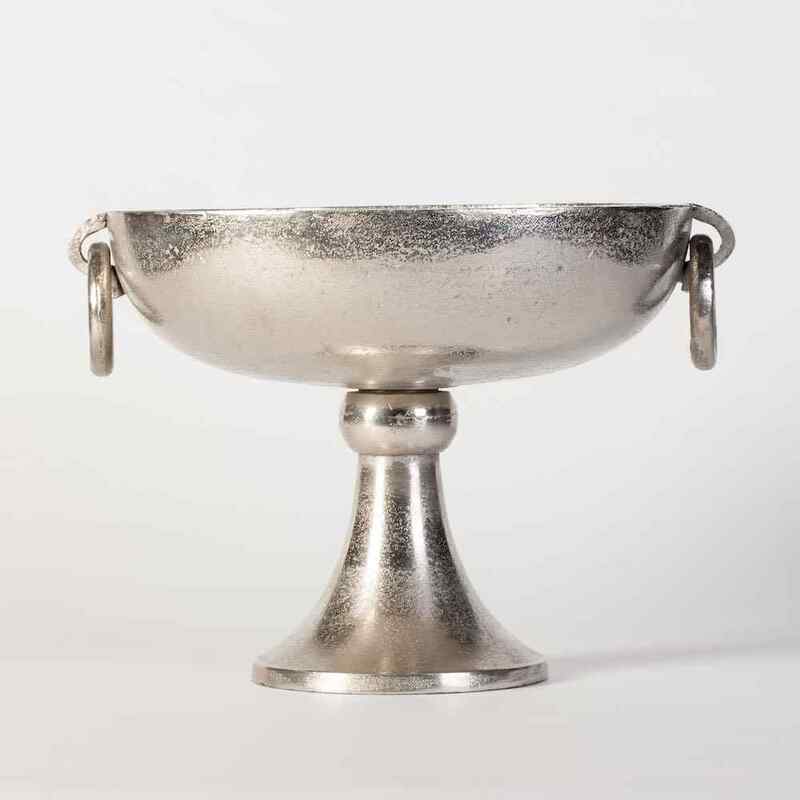 Filled with decorative objects or used to chill champagne, the stately Andica is nothing short of regal. 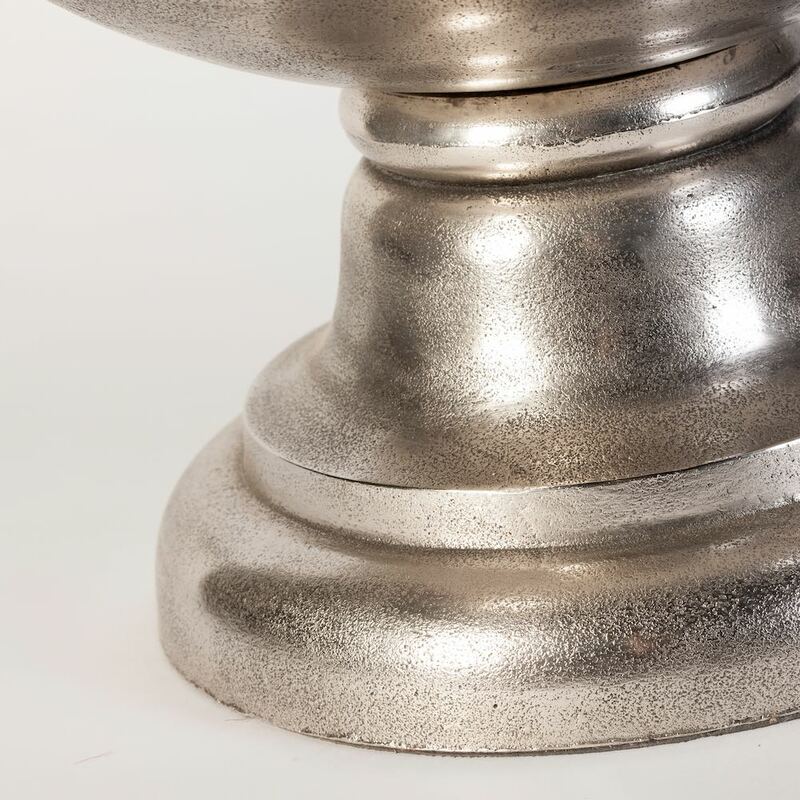 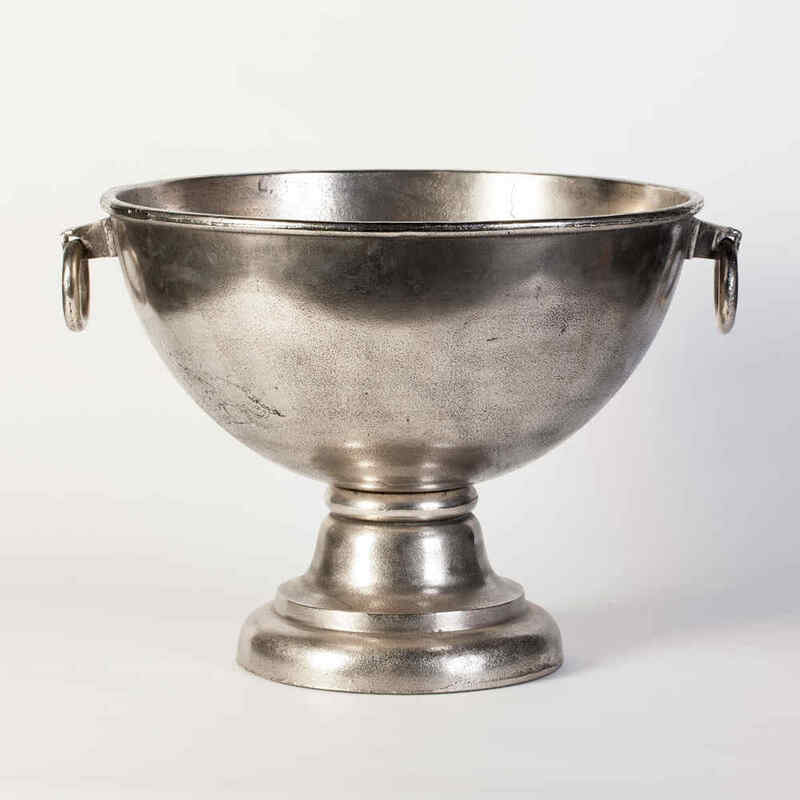 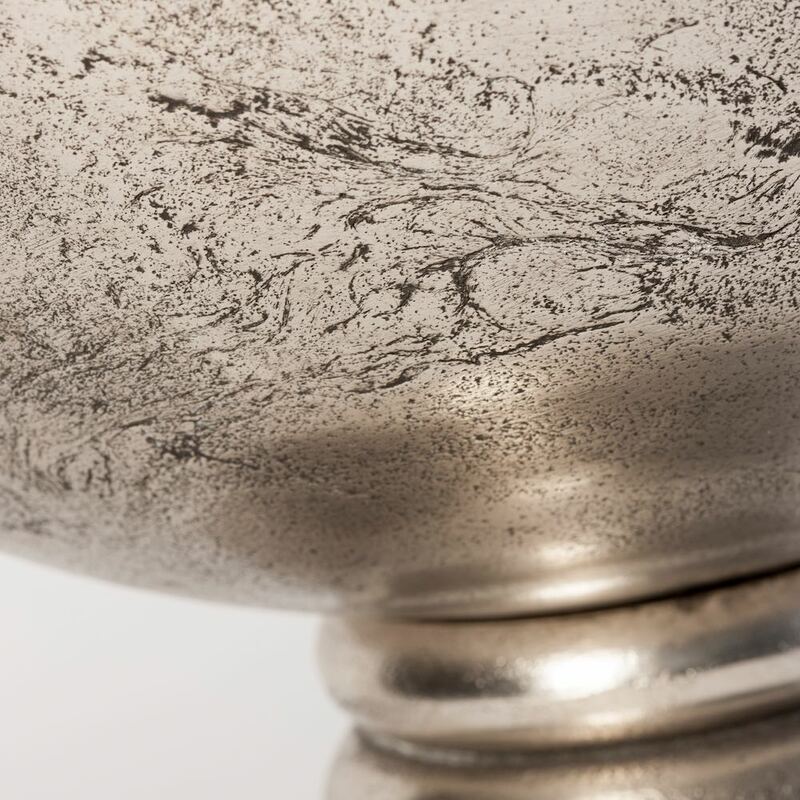 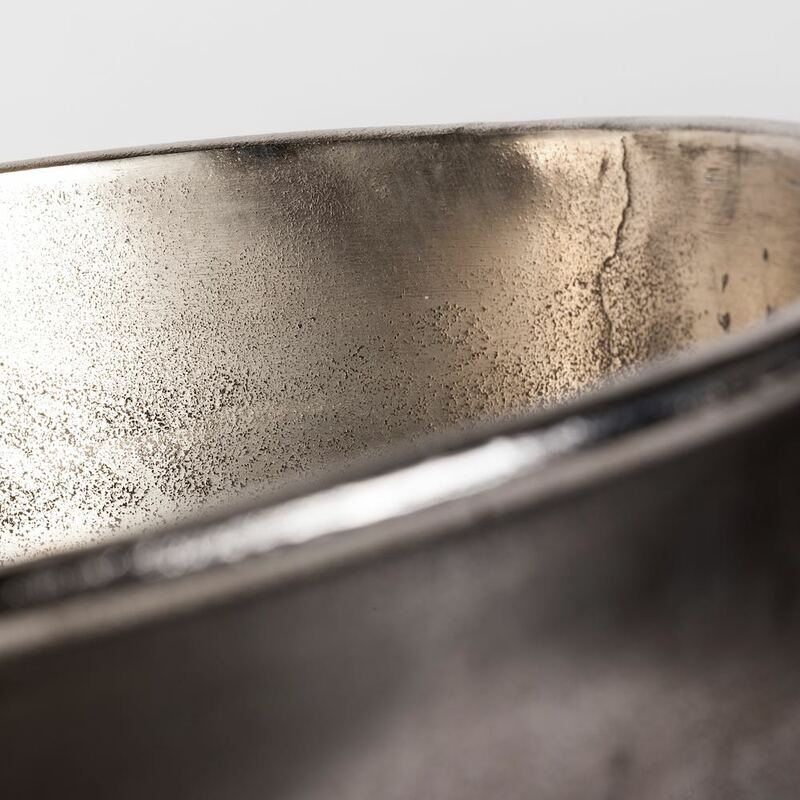 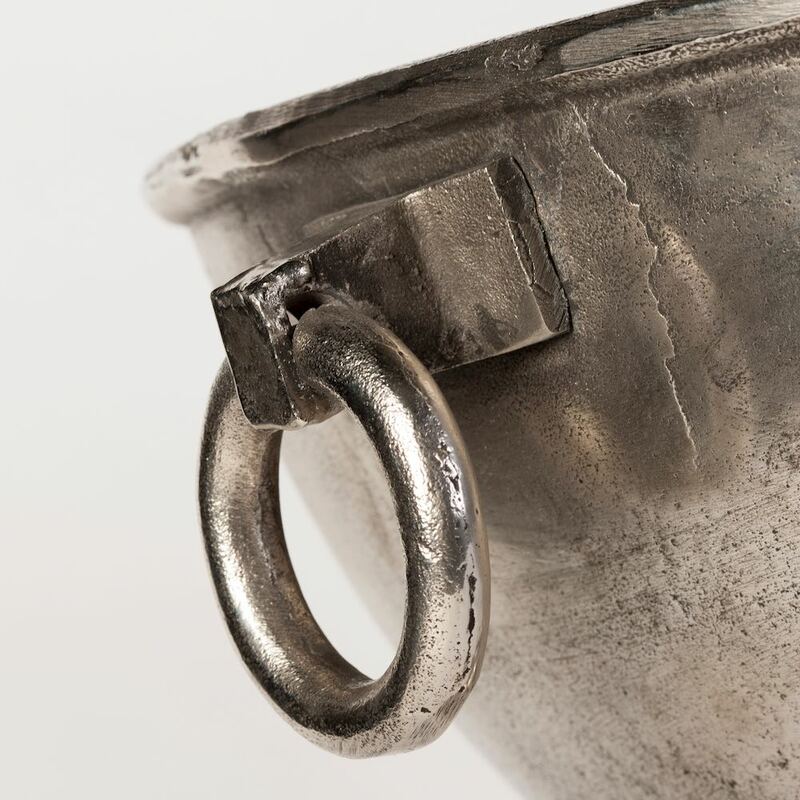 The bowl's nickel-plated matte surface is exquisitely textured and uneven, serving to transform traditional elegance into a magnificent artisan piece. 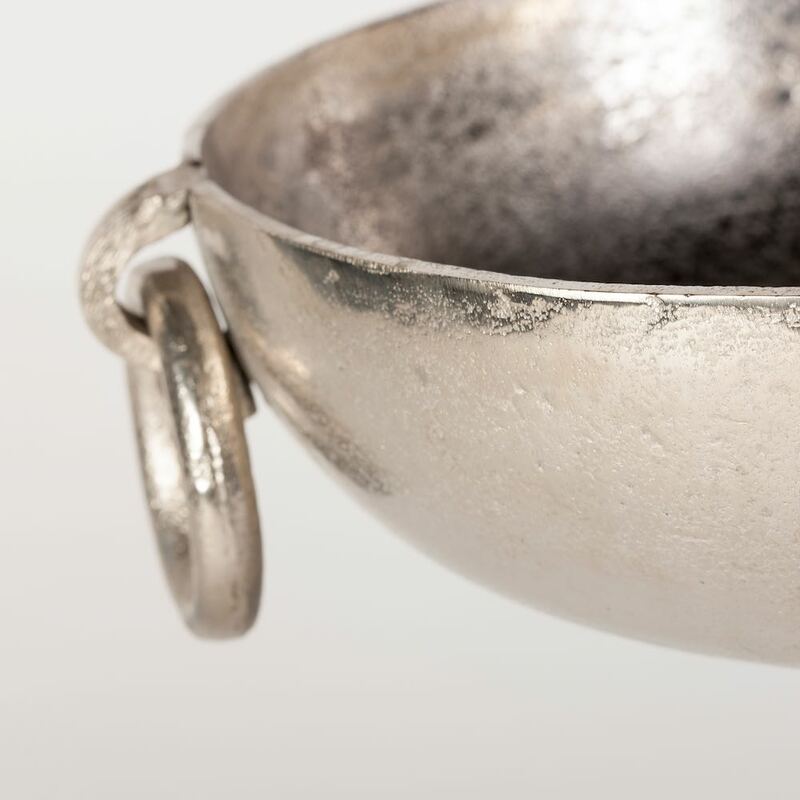 Drop ring handles on both sides complete the antique look.